When popular writer and columnist Batya Ruddel debuts with her first novel, people sit up straighter in their seats. This is no stereotypical, “blah” novel, folks. This is juicy yet realistic writing at its best, tackling a very real but often swept-under-the-rug issue in our circles—that of compulsive lying. 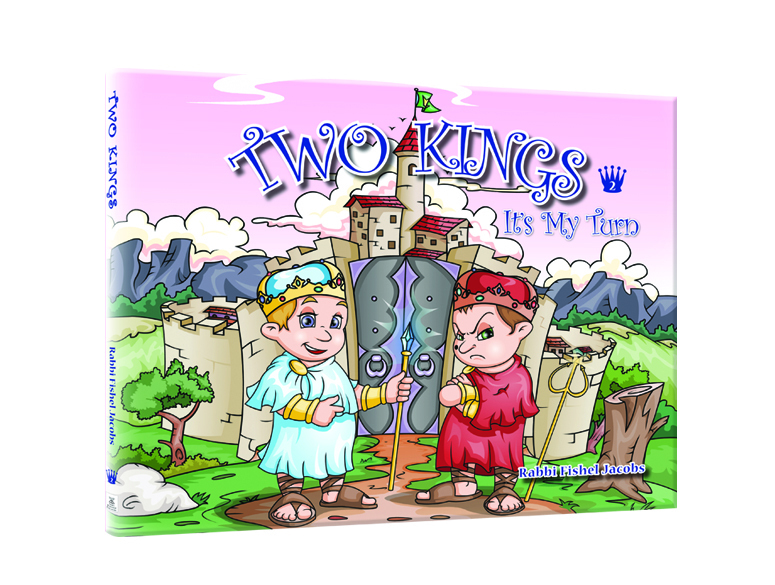 In her honest and straightforward way, Batya develops the nuances and personalities of her characters so well, that you will feel as if you know them personally. As you read this book, you will follow the characters’ journeys with bated breath as you wait and hope for some positive changes to occur in their lives… Well, we won’t give away any more of the story for you, but here’s an interview with Batya Ruddel that may pique your interest in this book even more than we’ve already piqued it! 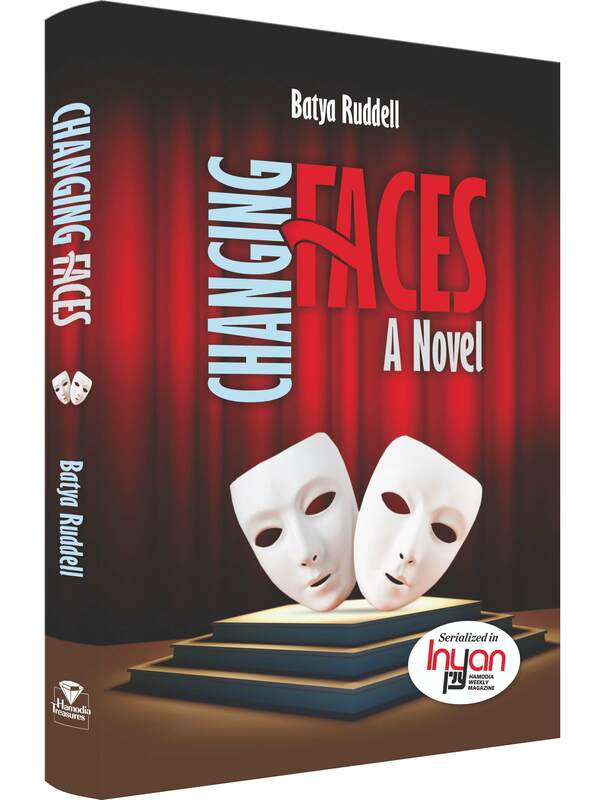 How did you choose the topic for your novel Changing Faces? Actually, Hamodia pitched me the idea of writing a fictionalized short story about compulsive lying. They wanted to address this issue which is, unfortunately, more prevalent in our community than we realize. So how did it become a full blown novel? 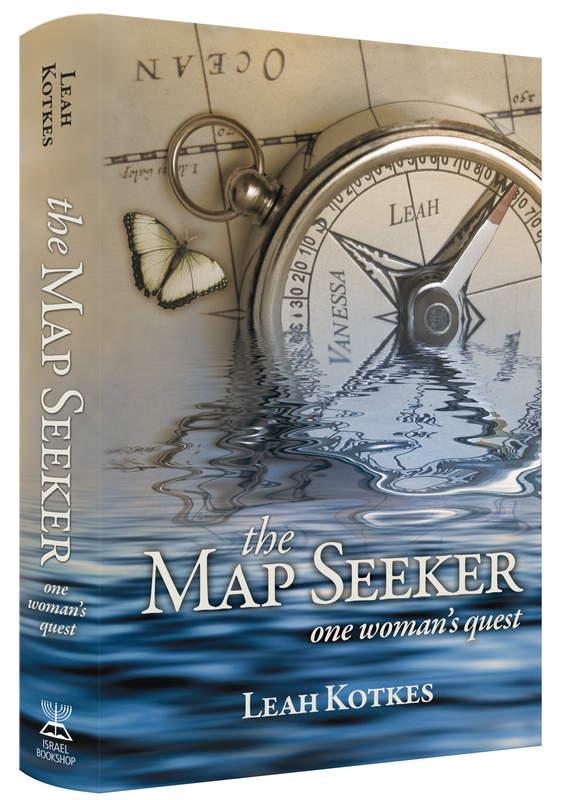 In May 2010 Leah Kotkes, an Israel Bookshop author, celebrated the one year release of her first book, The Map Seeker: One Woman’s Quest, an extraordinary memoir for women. Over the last year, here at the Israel Bookshop head office in Lakewood, we have enjoyed a flow of abundant reviews from readers enthralled by The Map Seeker. We spoke to Leah about her writer’s life and the book’s promotion which has taken her from her home in Jerusalem to the USA, Canada, and England to meet readers. Hi, Leah: When did you start writing for the reader? I began my writing career in London, where I was born; my first freelance job was as an Arts Editor of a local newspaper, writing reviews of arts events in London—theater, ballet, opera, music, art galleries. I was in my early twenties at the time, and passionate about the Arts; it is easy to write about something that you love. In my mid-twenties I had a fortunate opportunity and was able to switch career paths; I began my work life at eighteen as a fashion publicist, but I’d always wanted to work full-time as a journalist. At 25, I started out as an assistant to a News Editor in a television news company and within six months I was promoted to trainee news journalist. Working in current affairs—non-fiction—was a new genre for me, but one that interested me very much; I had always been fascinated with world affairs and world history in the making. After a turn of events, I left London and traveled the world on a spiritual quest. In October 1992, in London, I met my first Orthodox rabbi and soon after became shomer Shabbos. August 1993 saw me flying off to Israel to study in seminary; I was twenty-nine years old. During my year in seminary in Jerusalem it was a challenge for me to stop thinking about my professional life; the goal of the one year I had allocated to Jerusalem was to explore what it meant to be a Jewish woman and what my role would be as a wife and mother. It was not an easy task. Until then I hadn’t contemplated these roles, I had been too busy working and enjoying my single girl life, which included traveling—another great love of mine—and basically only thinking about my professional goals in life, I am sorry to say. It was not until five years later, when I was, in fact, a wife and mother, that I took up my pen again, in the form of diary-writing. And it was only after my second child was born in April 2000 that I returned to any sort of writing life; I began writing for the reader. I started my first book in the winter of the year 2000. What gave you the idea to write a book about your life? It was my rav, HaRav Chaim Pinchas Scheinberg shlit”a, who inspired me to do this, even though at the time, ironically, my rav had no idea that I had been a writer before he met me in the winter of 1993 and that being a writer—and a journalist and novelist—had been a childhood dream since I was about eight years of age. 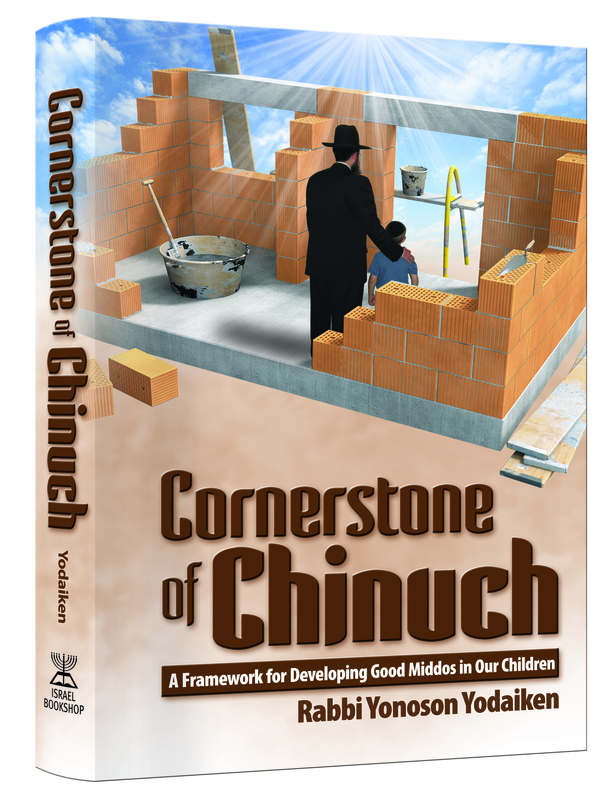 Rav Scheinberg was my spiritual mentor; the rav asked me to start writing for Klal Yisrael; to use my gift of language to inspire and give to others. But first, the Rav said, I must write my “story”—of how I came to this place and point in time—and to start it that very day. In today’s world of literature, where authors and books seem to abound a dime a dozen, and every other person you meet claims to be an “aspiring writer,” it takes a very talented author to actually bring a character to life. One such talent is Bracha Goykadosh. 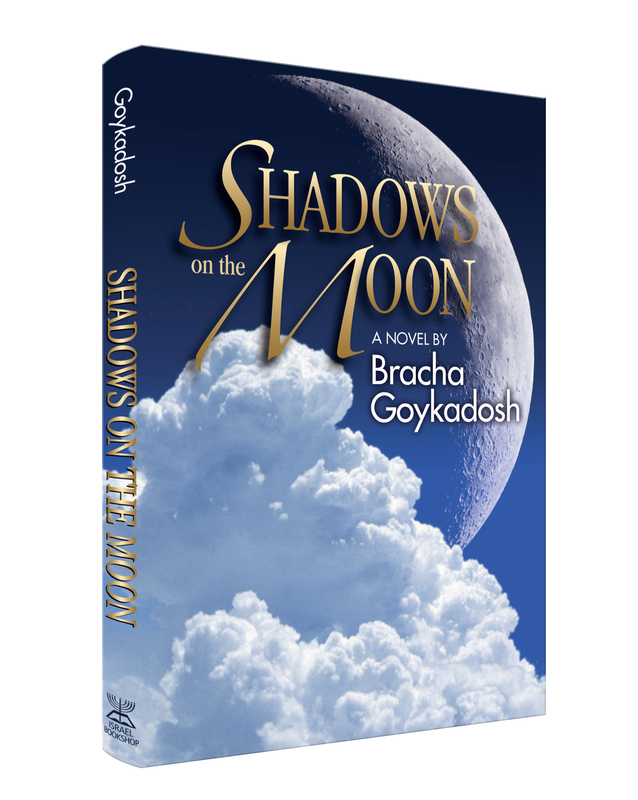 There is nothing flat, typical, or two-dimensional about the characters that Bracha writes about. To the contrary; I find them so authentic, so true-to-life, so “real”—it almost feels like I’ve actually met them in person! After reading too many books with characters comprised of the former qualities, static and unoriginal, it’s so refreshing to see something totally different in Bracha’s writing. Take her newest book, Shadows on the Moon. I mean, how could any modern-day teenager NOT relate to Ella Sender? She’s so sarcastic and biting—yet, her tough exterior is only a façade covering up so many layers underneath… As an adult, who already went through my teenage years, I still found myself moved by Ella’s depth and her feelings. And Ruti Reuben, the so-called “perfect” class queen—who doesn’t remember the girl exactly like that from their high school class?! You are currently browsing the archives for the Meet the Author category.